FAQs on 'Tax Audit' under Income Tax Act. ​What is the objective of tax audit? ​If a person is required by or under any other law to get his accounts audited, then is it compulsory for him to once again get his accounts audited to comply with the requirement of section 44AB? ​What are Form Nos. 3CA/3CB and 3CD? ​What is the due date by which a taxpayer should get his accounts audited? ​What is the penalty for not getting the accounts audited as required by section 44AB? 1. What is tax audit? Section 44AB gives the provisions relating to the class of taxpayers who are required to get their accounts audited from a chartered accountant. The audit under section 44AB aims to ascertain the compliance of various provisions of the Income-tax Law and the fulfillment of other requirements of the Income-tax Law. The audit conducted by the chartered accountant of the accounts of the taxpayer in pursuance of the requirement of section 44AB ​ is called tax audit. ​2. What is the objective of tax audit? 3. As per section 44AB, who is compulsorily required to get his accounts audited, i.e., who is covered by tax audit? • A person carrying on business, if his total sales, turnover or gross receipts (as the case may be) in business for the year exceed or exceeds Rs. 1 crore. • A person carrying on profession, if his gross receipts in profession for the year exceed Rs. 50 lakhs. • A person who is eligible to opt for the presumptive taxation scheme of section 44AD (*) but claims the profits or gains for such business to be lower than the profits and gains computed as per the presumptive taxation scheme of section 44AD and his income exceeds the amount which is not chargeable to tax. • ​If an eligible assessee opts out of the presumptive taxation scheme, after specified period, he cannot choose to revert back to the presumptive taxation scheme for a period of five assessment years thereafter. (*) For provisions of section 44AD ​ refer tutorial on “Tax on presumptive basis in case of certain eligible business”. 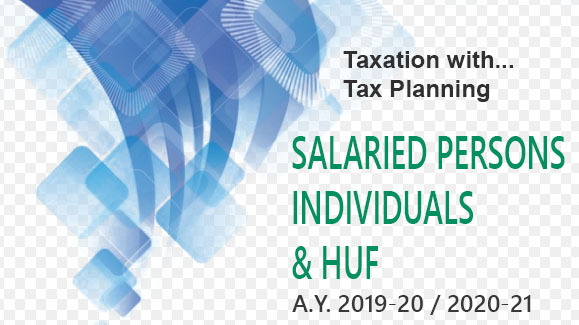 • ​A person who is eligible to opt for the presumptive taxation scheme of section 44ADA (*) but he claims the profits or gains for such profession to be lower than the profit and gains computed as per the presumptive taxation scheme and his income exceeds the amount which is not chargeable to tax. • A person who is eligible to opt for the presumptive taxation scheme of sections 44AE (*) but he claims the profits or gains for such business to be lower than the profits and gains computed as per the presumptive taxation scheme of sections 44AE. (*) For provisions of sections 44AE refer tutorial on “Tax on presumptive basis in case of certain eligible business”. • A person who is eligible to opt for the taxation scheme prescribed under section 44BB (*) or section 44BBB (*) but he claims the profits or gains for such business to be lower than the profits and gains computed as per the taxation scheme of these sections. (*) section 44BB is applicable to non-resident taxpayers engaged in the business of providing services or facilities in connection with, or supplying plant and machinery on hire basis to be used in exploration of mineral oils. section 44BBB ​ is applicable to foreign companies engaged in the business of civil construction or erection of plant or machinery or testing or commissioning thereof, in connection with a turnkey power project. ​4. If a person is required by or under any other law to get his accounts audited, then is it compulsory for him to once again get his accounts audited to comply with the requirement of section 44AB? ​5. What are Form Nos. 3CA/3CB and 3CD? ​​The report of the tax audit conducted by the chartered accountant is to be ​furnished in the prescribed form. The form prescribed for audit report in respect of audit conducted under section 44AB ​ is Form No. 3CB and the prescribed particulars are to be reported in Form No. 3CD. ​6. What is the due date by which a taxpayer should get his accounts audited? ​​​A person covered by section 44AB should get his accounts audited and should obtain the audit report on or before the due date of filing of the return of income, i.e., on or before 30th September (*) of the relevant assessment year, e.g., Tax audit report for the financial year 2013-14 corresponding to the assessment year 2014-15 should be obtained on or before 30th September, 2014. (*) In case of a taxpayer who is required to furnish a report in Form No. 3CEB under section 92 ​ in respect of any international transaction or specified domestic transaction, the due date of filing the return of income is 30th November of the relevant assessment year. ​7. What is the penalty for not getting the accounts audited as required by section 44AB? However, according to section 273B ​, no penalty shall be imposed if reasonable cause for such failure is proved.